Sometimes lengthy words aren’t needed. Sometimes you just need to immediately see a product that you need in your life, and act before the timer runs down and the deal slips away. Don’t let that happen to you. Today we have a variety of tech deals such as a 12-in-1 accessory kit for the GoPro HERO camera. If you are an adventure enthusiast interested in handling your GoPro camera like a pro, this deal coming in at just $17 is definitely worth a look. Apple may have removed the 3.5mm headphone jack from its iPhone 7 range in favor of wireless technologies, but most high-end speakers still support wired connectivity with no way to connect wireless devices such as the iPhone 7. 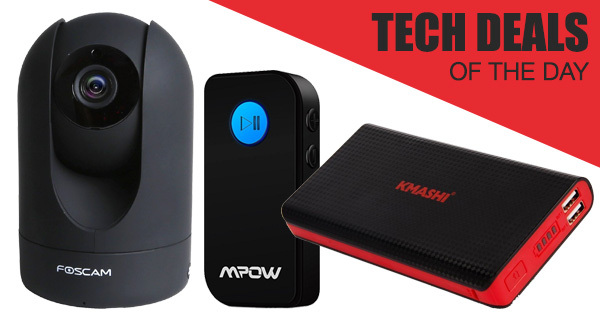 If you wish to add Bluetooth connectivity to your old speaker system for using it with your iPhone 7, the Mpow Bluetooth receiver is the perfect fit for that purpose. 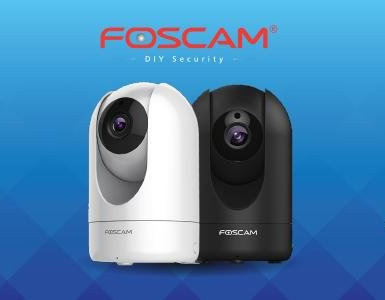 If you’re looking for a handy little IP security camera with 1080p recording capabilities, the Foscam offering is currently available at almost half its original price. Last but not the least, there’s also a portable battery charger / power bank with a whopping 15,000mAh capacity to keep your mobile devices juiced up on the go. As always, all the deals listed here are available for a limited time only, or till stocks last, whichever happens first. So if there’s a product in here that has gotten you interested, make sure you act quickly before the offer expires. Enjoy the savings! 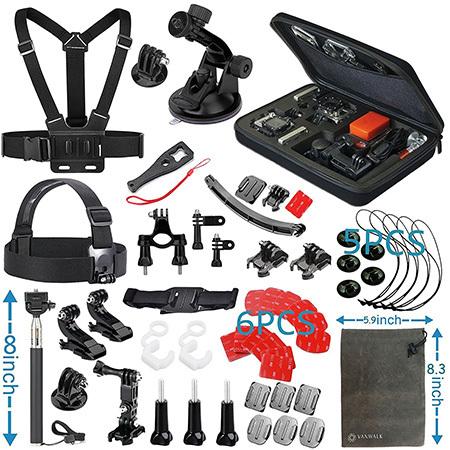 If you’re looking for an extensive box of accessories that packs in pretty much anything that you might need, and probably some things that you hadn’t even considered that you might need, to make the best possible use out of a GoPro camera, then you probably need to get this kit in your life. At this price, this really is a must-have kit for anyone looking to take their GoPro game to the next level. 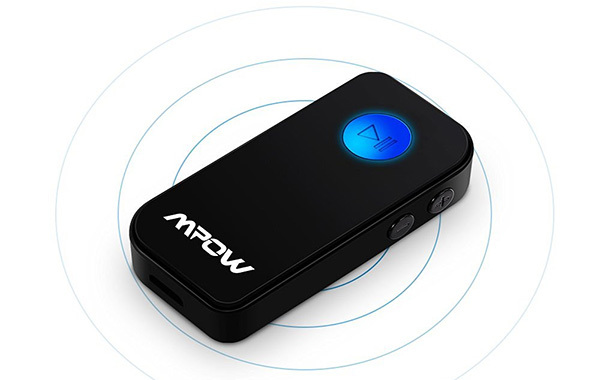 It may not seem like it at first, but if you’ve ever experienced the problem of not being able to get your music from your smartphone onto a car speaker system, or any other type of speaker system for that matter, then the solution is simple; the Mpow Bluetooth receiver that takes a 3.5mm input and turns devices Bluetooth ready. The built-in battery provides 8 hours of continuous playback. Make sure you grab the contraption using the following promo code at checkout for a reduced price of just $7.99: ZBKGIAR2. Sometimes you just need to look after you and your family by introducing an app controlled security camera. And if you do, then maybe it’s the Foscam that would be a good fit for your home. This particular Foscam IP camera comes with a simple plug and play setup, as well as offering immediate access remotely via an iOS or Android app to be able to see exactly what’s going on at the location. It features full 1080p HD resolution and even enhanced two-way audio for voice. Make sure you grab it using the following promo code at checkout for a reduced price of just $89.99: R2DECMBR. If you have become accustomed to running out of battery life on your smartphone or tablet, and have simply started to accept that this is the norm and there’s nothing that you can do about it, then you’re wrong. 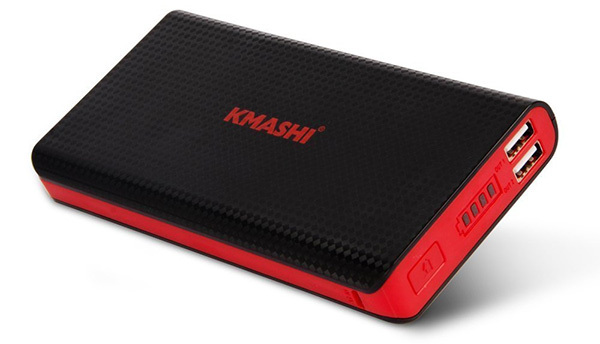 This KMASHI option comes with an integrated 15,000mAh battery that should be good enough to charge an iPhone 7 at least three to four times. It offers simultaneous charging, as well as 2A input for shorter charge times. Make sure you grab it using the following promo code at checkout for a reduced price of just $13: Z9EPYL9M.